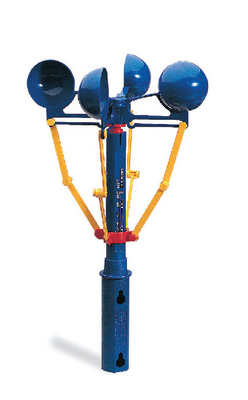 As the wind blows, the arms on this unique anemometer move and lift the reading bar, allowing your students to get a direct reading of wind speed at just a glance. The colorful plastic instrument can be hand-held or permanently mounted. It measures the Beaufort scale from 0–11. Size: 12"H x 7" dia.